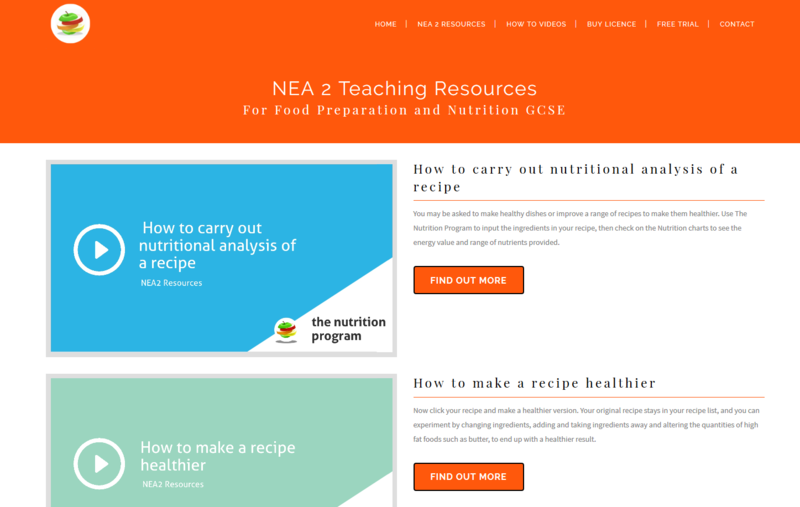 You can download our resource for NEA 2 on this link. This shows how the Nutrition Program cab be used for different sections of the Tasks. If you are a Nutrition Program subscriber, emails us for a free copy. 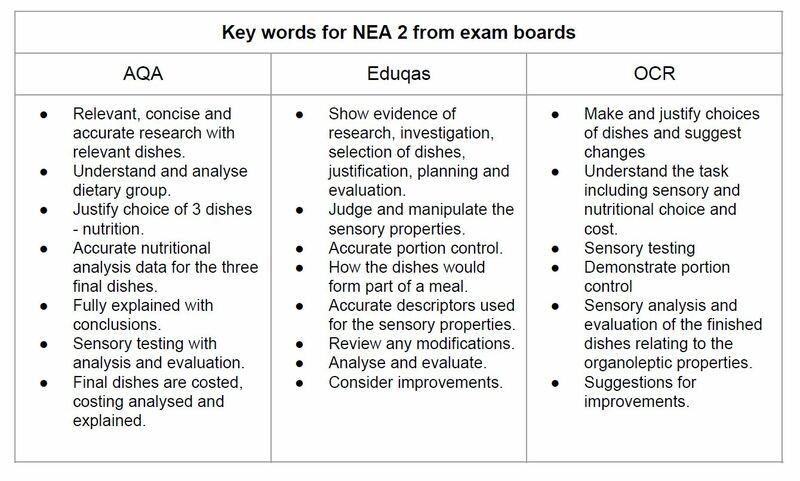 The chart shows key phrases from exam boards for NEA 2 where The Nutrition Program can be used. Explain how the dishes meet nutritional needs – look at Traffic Lights, RI, and if they fit with a meal. 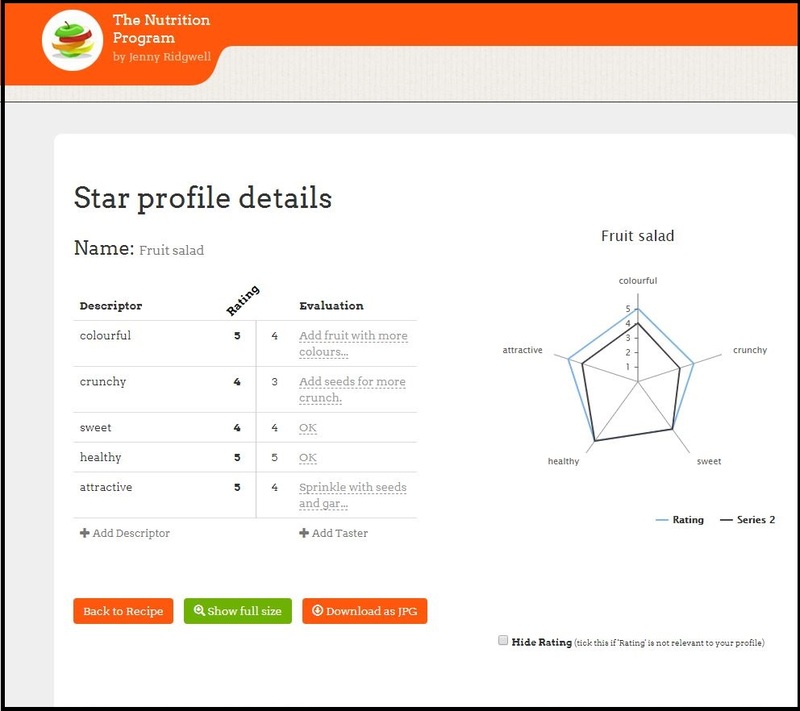 Look at sensory properties – use The Nutrition Program to draw up a Star Profile. Analyse the nutrition – annotate the food label. Carry out sensory analysis and add tasters, then write evaluation – all done through Nutrition Program. Conclude and think of improvements. 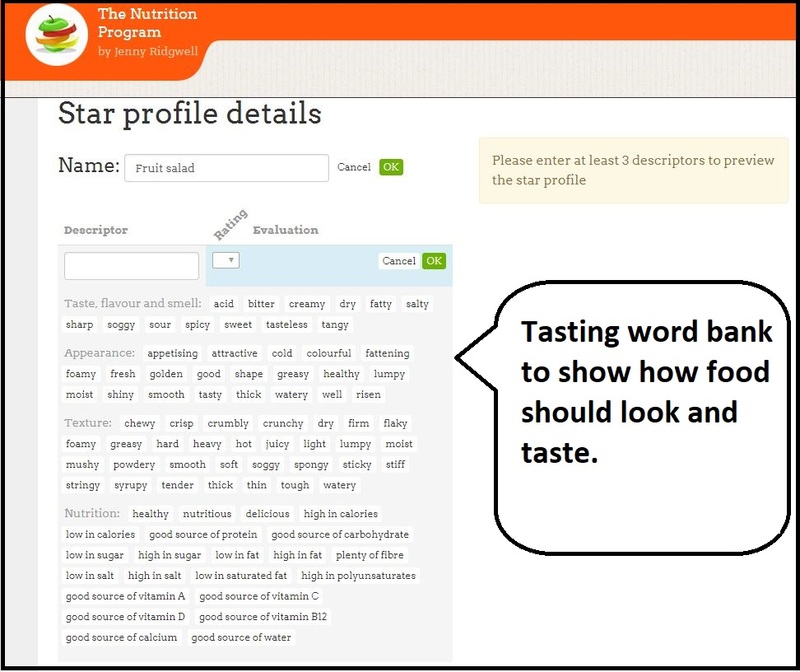 The Nutrition Program has a Tasting word bank which you can use for sensory evaluation for NEA 1 and NEA 2 and make a Star Profile. Just click the words you want to use and add them to Descriptors for your Recipe. 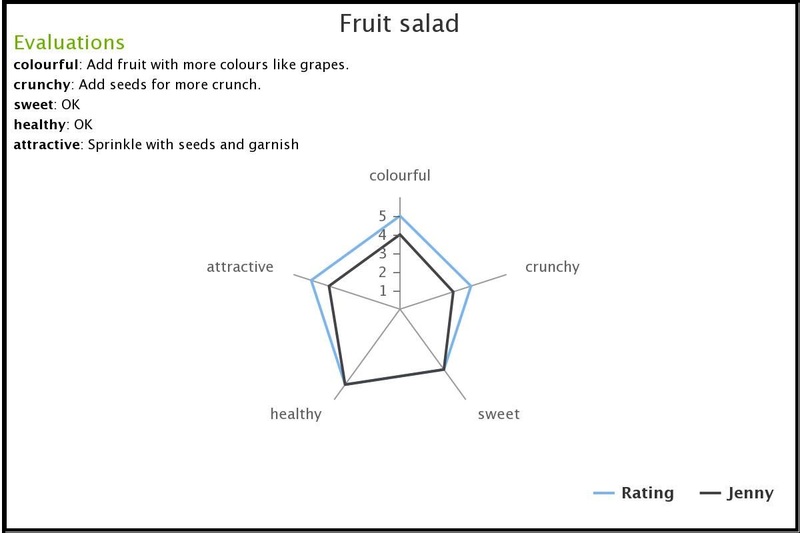 This example shows how to make a Star Profile for a Fruit salad. Choose the tasting words – the sensory descriptors – you want to use and give them a Rating mark. 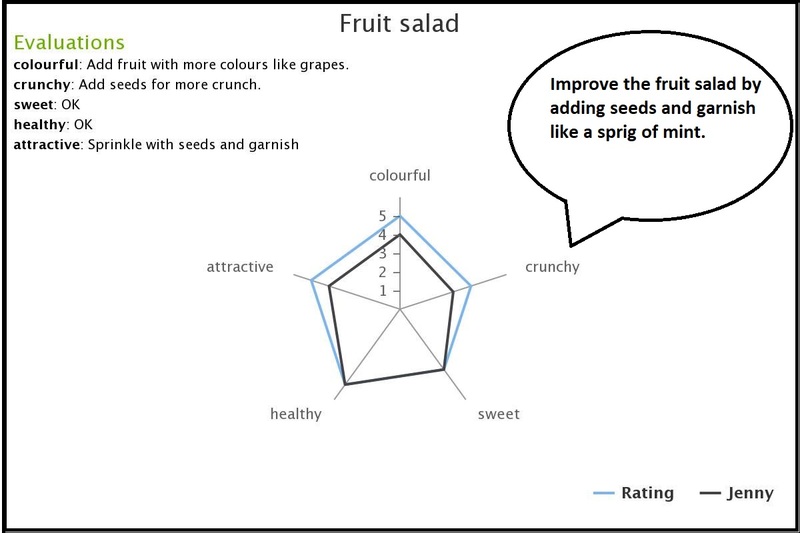 Now add a Taster (Jenny in this example) to taste your fruit salad and get them to score their results. Now you can Evaluate the results of the fruit salad and see if it needs improving. Just fill in the spaces for Evaluation. Download the JPG to present in your work. You can annotate the Star with more comments. 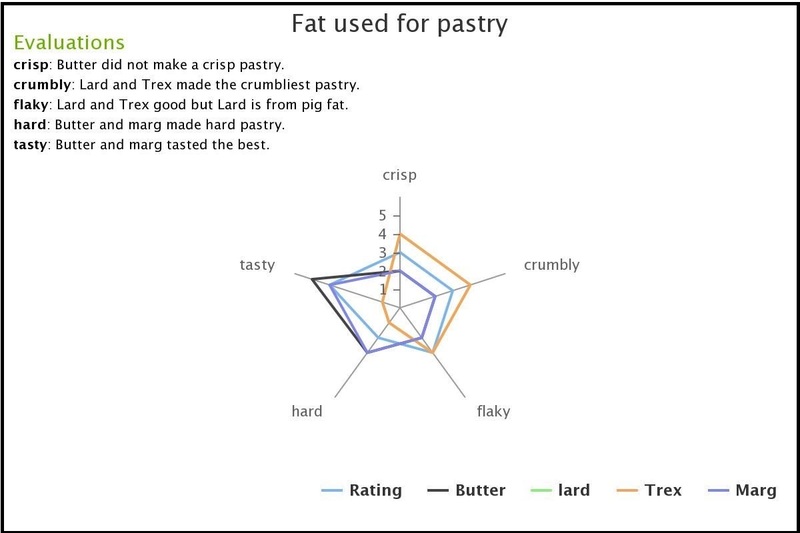 The final Star Profile compares the results of fats in pastry to see how they taste. 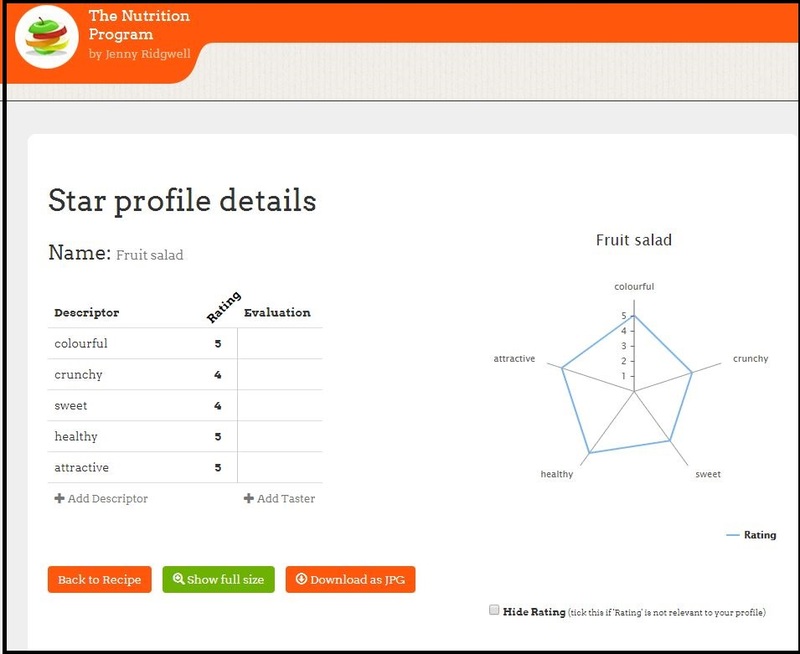 You can add several types of pastry to the star to compare results and annotate. Star profile with completed tasting and Evaluation. 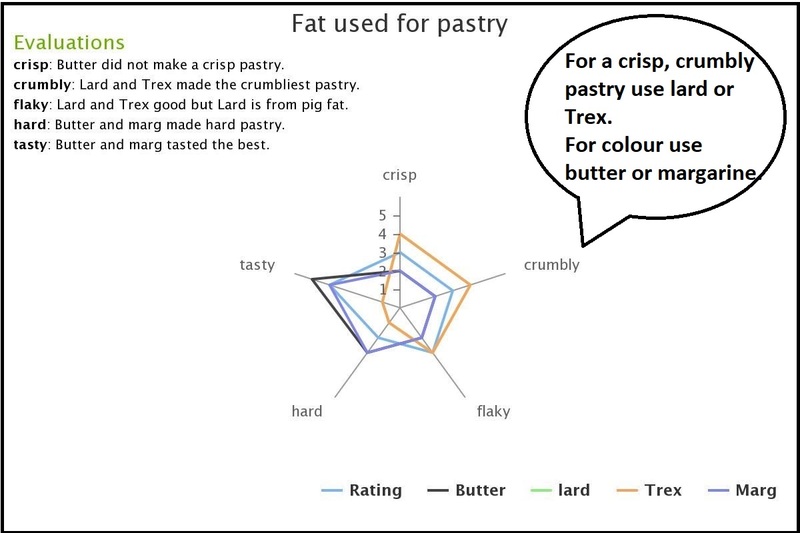 Star profile of fats in pastry with annotation. Presentation skills are essential for the final dishes for NEA 2. 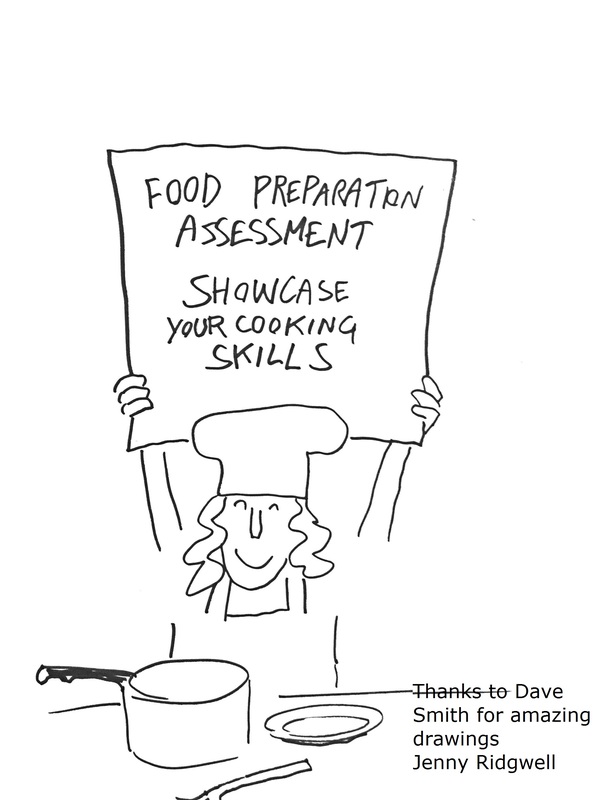 When I photographed my dishes that I tested for Food Preparation Assessment NEA 2, they needed great improvement. Food teachers – get your students to research how to style food for presentations and search for their dishes. 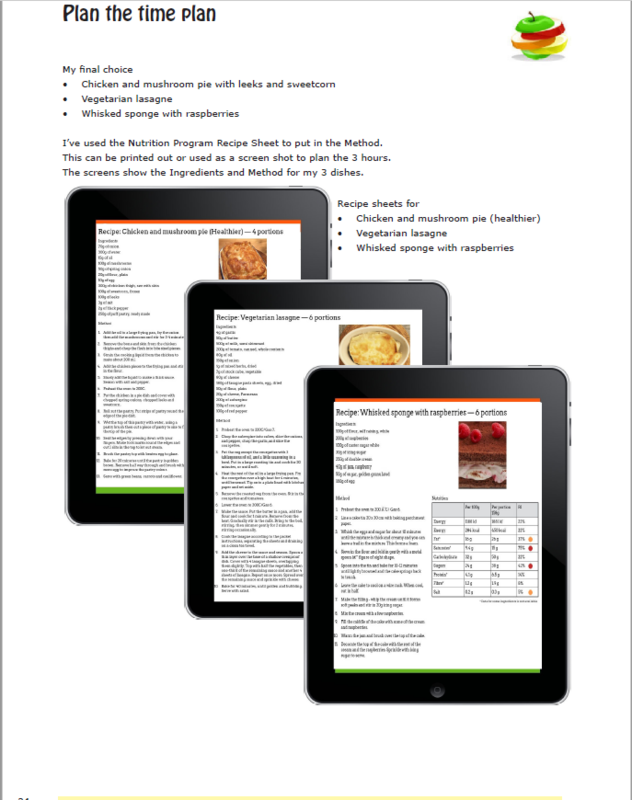 Use My Recipes in The Nutrition Program to write the Method for your recipes. Like GGBO you can use a phone or ipad to work on your recipes during the practical test. 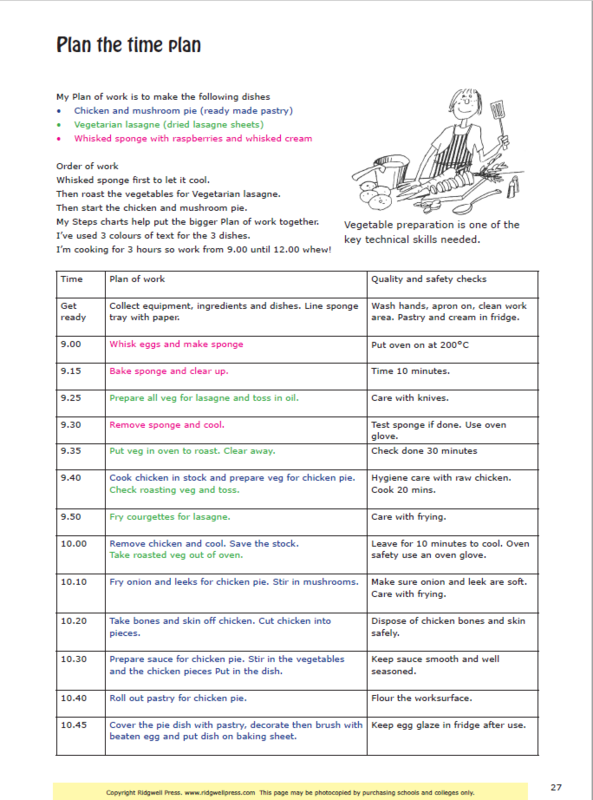 When you have 3 recipes for your final GCSE Task, you need to dovetail the making steps to fit the 3 hour plan. Print off your 3 recipes on 3 different coloured paper and chop them up and stick into the plan. Use Word to create a table and use different text colours for each dish. Colour the time plan and show stages. Thanks to Dave Smith for once again creating me some funny drawings to liven up the text. Thanks to Dave Smith for this!